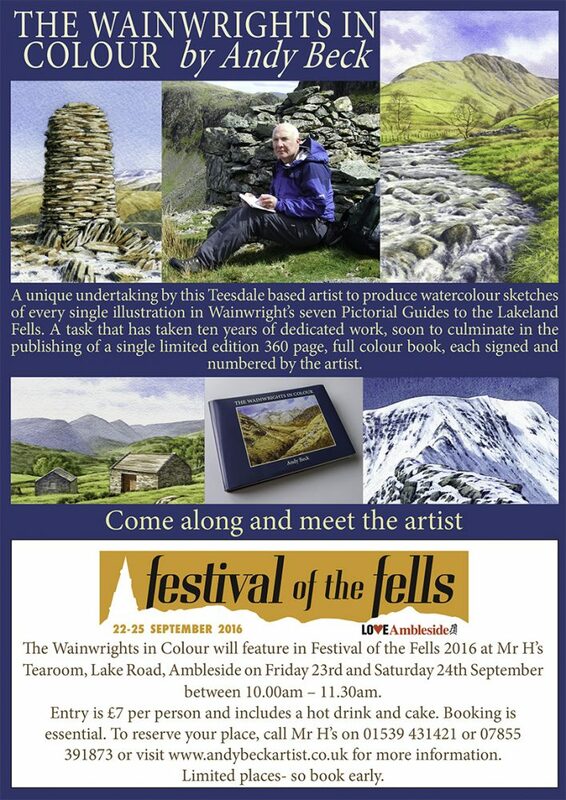 Not long to go now, five days in fact, five days until the Festival of the Fells over in Ambleside. I have been honoured to have been asked to be part of this event which will hopefully put back something into Ambleside after the devastating floods that struck the area in December 2015. It is easy to forget how this terrible weather event damaged the lives and economies of these small Cumbrian communities. Ambleside and neighbouring Grasmere were practically cut off from their northern lifeline by the damage to the popular A591 road over Dunmail. The loss of income and disruption to peoples everyday lives during the period whilst the road was repaired was devastating. Some businesses sadly couldn’t cope with their losses and are no more, others showed true northern grit and scraped by. This event, The Festival of the Fells was conceived to try and make amends and I am proud to be part of the line up of speakers and events which includes luminaries such as Alan Hinkes, film maker Terry Abraham and Clive Hutchby to name just three. My talks will take the form of informal chats about my Wainwrights in Colour project. 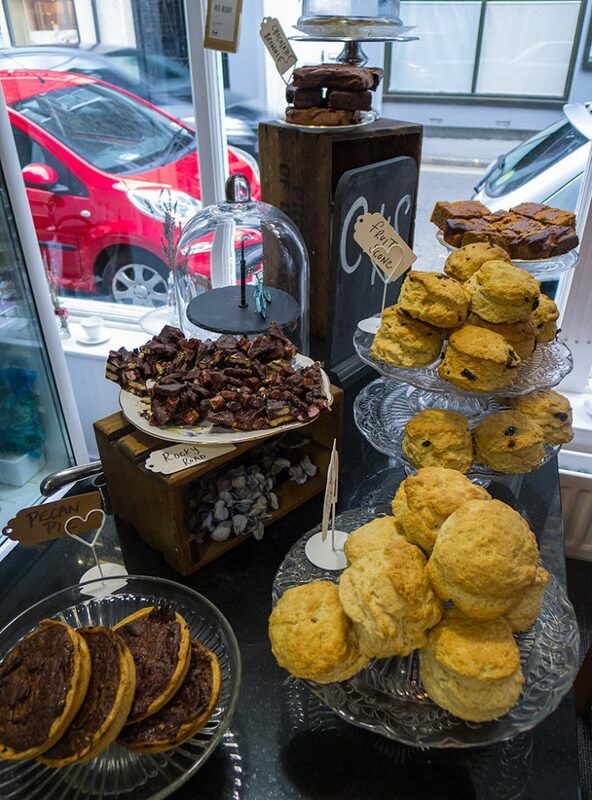 They will be held at a delightful tearoom right in the heart of Ambleside, Mr H’s on Lake Road. This is NOT the official launch of The Wainwrights in Colour book which due to the upset of earlier this summer is still unfortunately some weeks off but it will be a good opportunity for those in the attending group to ask questions about this unique 10 year project which has basically taken over my life. I plan to have with me a small number of the original fells from the project, some of which have never been on public display before along with the mock up of the 360 page book and samples of the finished pages. 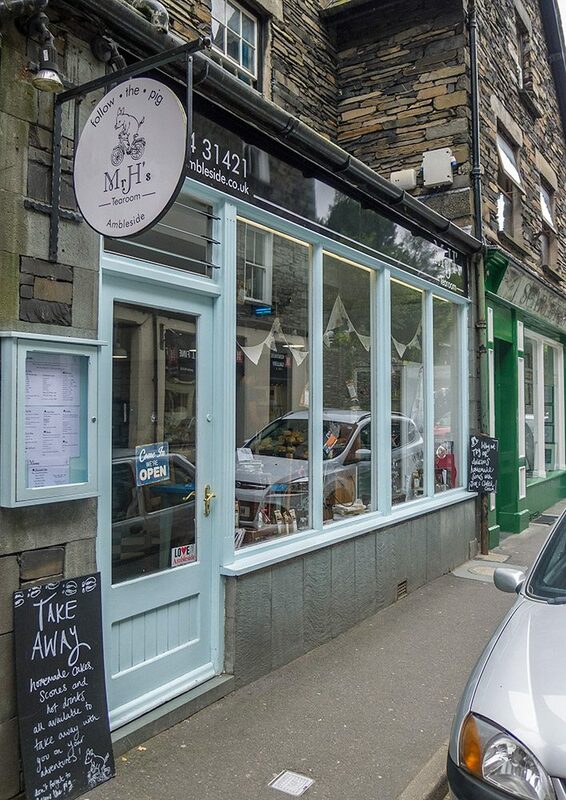 Mr H’s, Lake Road, Ambleside. The venue for the Wainwrights in Colour talks, it even has a view out onto the fells. Only £7 per person and this includes hot drink and cakes and I can vouch for both. It is a fabulous venue to hold such an event but space are very limited, about 30 each day. Details are on the poster above but it is essential to book by calling Andrew on 07855 391873 or 01539 431421. I look forward to seeing you there! Many thanks to all the hotels, pubs and shops who willingly took my promotional material to promote the event. I hope that Festival of the Fells brings plenty of footfall into the town not only for this weekend but also for the run up to Christmas. 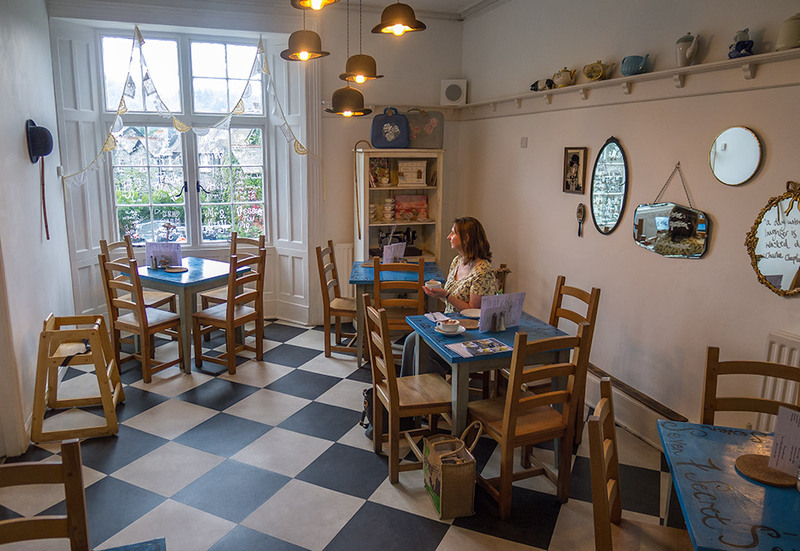 Two Sisters Cafe, Booths at Windermere, Brockhole Visitor Centre, Mr H’s, Windermere Tourist office, Marmot Shop, Adventure Peaks, Churchill Inn, The Mountain Factor, Picnic Box, The White Lion, Bilbo’s, Walnut Fish Bar, Zeferelli’s, Esquire Coffee, Blacks, Tog 24, Epicentre, Trespass, Rohan, Field and Trek, Gaynor Sports, Ambleside Tourist Office, The Walkers Shop, Cafe Treff, Holdsworth Bookshop, Giggling Goose Tearoom, Cunninghams Outdoors, Biketreks, Apple Pie, Dodds Pizza, The Edge of the World, The Climbers Shop, The Queens Hotel, Lucy’s, The Royal Oak, The Priest Hole, The Copper Pot, The Talbot Bar, Wainwrights Inn, The Britannia Inn, Maple Tree cafe, The Swan, Heaton Cooper Studio, Sam Read’s bookshop, Cotswold Outdoor and The Travellers Rest. Information cards and posters are available from the above locations.